Working for 2,000 days without a break sounds like an absolute nightmare. That's almost five and a half years of working every single day. 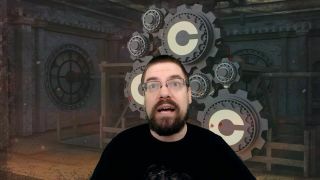 Popular Twitch streamer CohhCarnage has done just that though, hitting the 2,000 day milestone on April 6, 2019. He took April 7 off, but there's no denying he deserved it - he even put a re-run of a stream on so his devoted fans could still tune in, even if it wasn't live. Take a look at the end of his 2000th day, when his mods left him a parting message. CohhCarnage is a variety streamer, so thankfully he hasn't had to play the same game for those five years. Could you imagine having to do that while exclusively playing Fortnite? Instead, Cohh plays almost all of the new releases, and ended his 2,000th day by enjoying some Pathfinder: Kingmaker. During a stream earlier in the day of Outward, he also received an anonymous $2,000 donation in celebration of his incredible streak. What would you do if you only got a single day off work every five and a half years? Cohh wasn't entirely sure what to do, other than setting his stream up for an offline re-run of Bioshock 2. And now, two days after his 2,000 day streak ended, he's back at it again playing the same games he was before his short break. It's like nothing changed. On the final day of his streak, he uploaded a YouTube video explaining exactly what the streak means to him, why he did it, and what's happening in the future. Cohh's dedication to streaming is admirable, and incredibly impressive when you given that his wife has given birth twice and he's moved house during this period. Here's to the next 2,000 days! For more impressive streamer shenanigans, take a look at this chap who reached level 99 in Kingdom Hearts 3 without leaving the starting world.